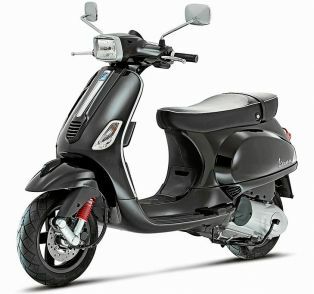 The Benelli TNT 300 is also known as BN 302 elsewhere, it is a twin cylinder 300cc roadster bike. 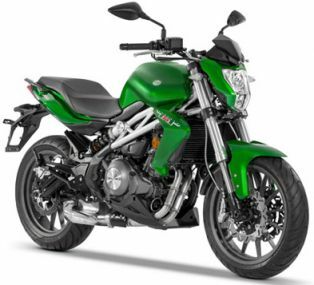 The TNT 300 is equipped with 300cc parallel twin cylinder liquid cooled engine, it has USD front fork suspensions and Monoshock absorbers at the rear. There is optional Pirelli and MRF tyres on board and depending on the tyre size the ground clearance will also vary. 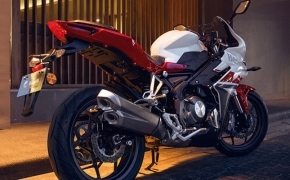 Benelli which made it's debut recently is going to launch their 150cc motorcycle which they call TNT 15 in India. 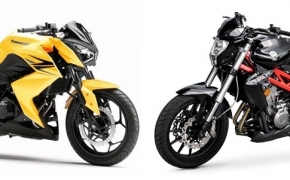 With the launch of TNT 15, the naked Gixxer and FZ-S V2 will get a serious rival, seems we are going to see an ingesting fight in the 150cc segment. Today we're doing a comparison of the best pack of beginner motorcycles (250-400cc irrespective of the cylinder count) that are available in the Indian market. 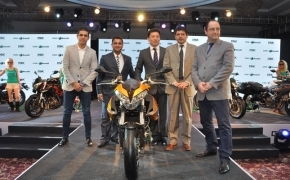 The Indian motorcycling scene is generously flourishing day by day. 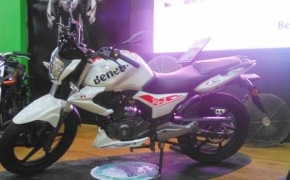 People obsessed with the "Kitna Deti Hai" dialogue are shattering the notion and are ready to shell out their buck for more powerful yet affordable motorcycles.